A1A Dock Products 4 Step Floating Dock Lift Ladder, Standard 2" Steps, Aluminum. FREE SHIPPING! 4 Step Floating Dock Lift Ladder, Standard 2" Step, Aluminum. The floating dock version has a shorter 13.5" base for lower profile floating docks. 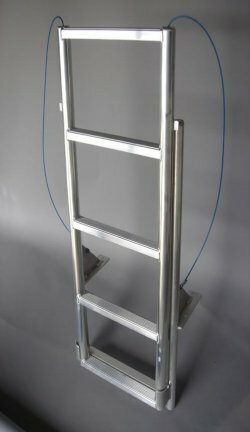 Unlike the standard 25" base found on all other lifting style ladders, this shorter base allows most of the ladder to be out of the water when in the retracted position. 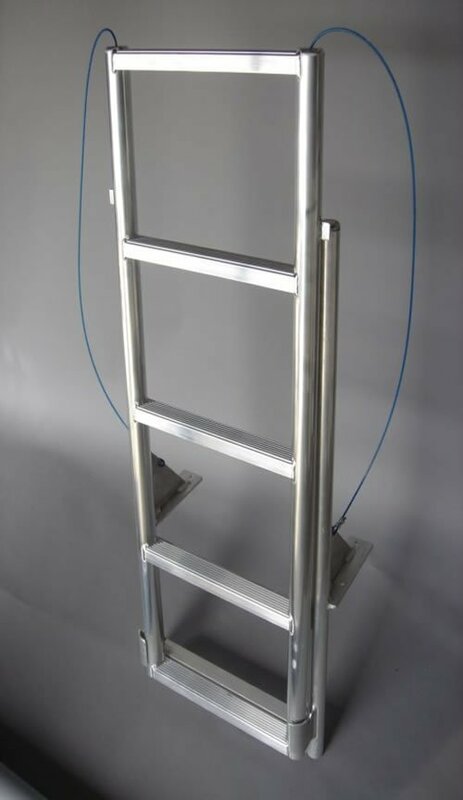 *** Please note, when determining ladder length needed you will lose one step with this ladder - for example normally a 5 step ladder will give you 5 feet full extended (each step is 12" apart). Because of the shorter base a 5 step floating dock lift ladder will give you 4 feet fully extended, 6 step will give you 5 feet fully extended etc etc.